BABES IN APOCALYPSE-LAND – PF18 Interview! I had big plans to do a big show, but I had an emergency gallbladder removal and lost a month of my life. So naturally I wrote this new show while watching a series about monsters. Oh jeez. Well feminism, obviously. Friendship dynamics, anxiety and fear of men, the looming threat of our extinction, the complexities of sexual orientation. I could go on, but my lunch break is short. Lady Gaga or Kate McKinnon. Always them for any event ever. MTWTFSS is gonna be so bizarre and I’m HERE for it. Literally. I am also in their show and it’s very silly and fantastic. 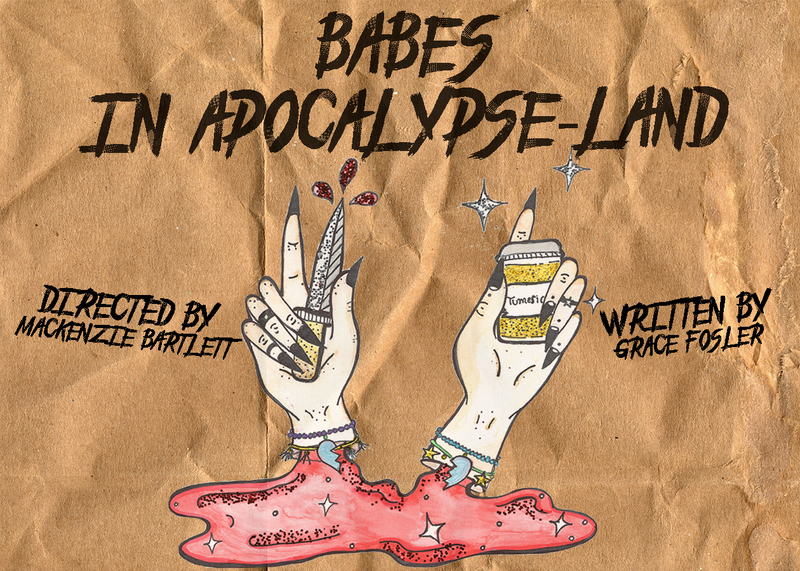 SEE BABES IN APOCALYPSE-LAND AT PORTFRINGE 2018!